RadImageGallery control is a flexible control that provides different presentation modes which configures the way the ImageArea and ThumbnailsArea looks. 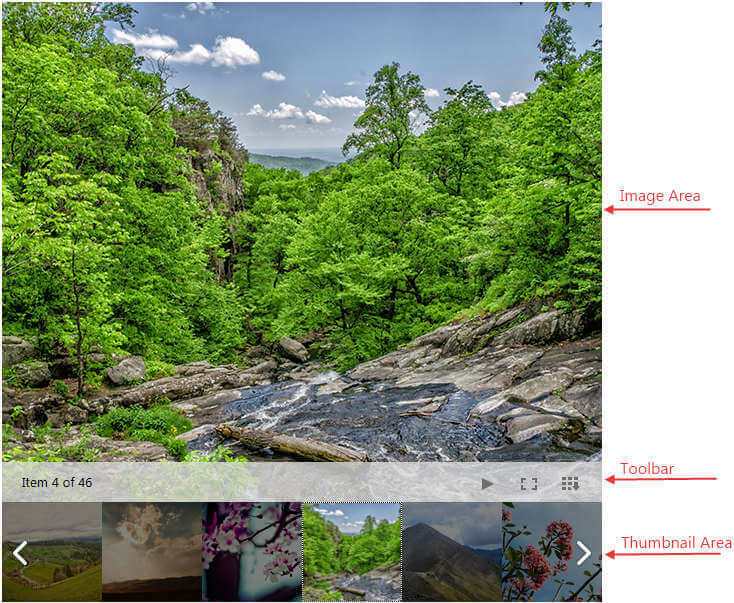 Thumbnails- It is available for all DisplayArea Modes. This is the default ThumbnailsArea Mode which is also presented in the image above. 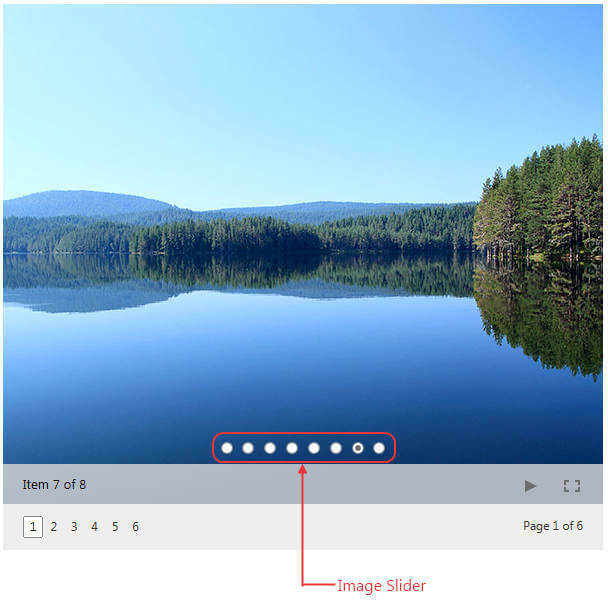 ImageSlider- It is available only for DisplayArea Mode set to Image. In this case the Thumbnails are presented as dots which could be selected to open the image. 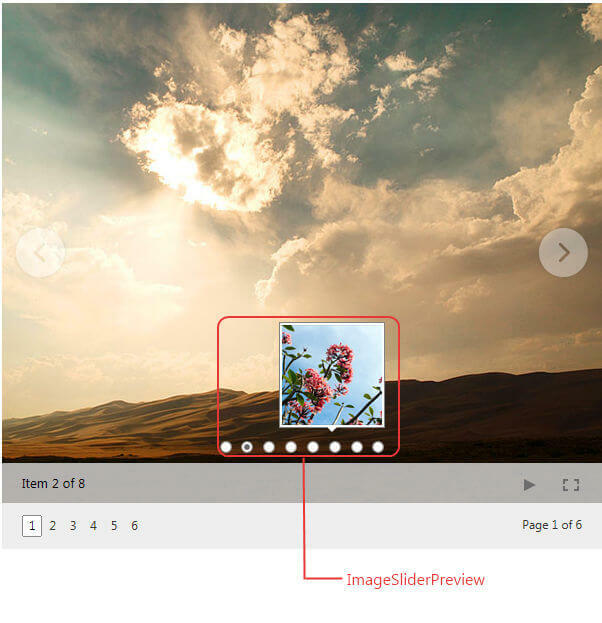 ImageSliderPreview- It is available only for DisplayArea Mode set to Image. In this case the Thumbnails are presented as dots which could be previewed on hover. 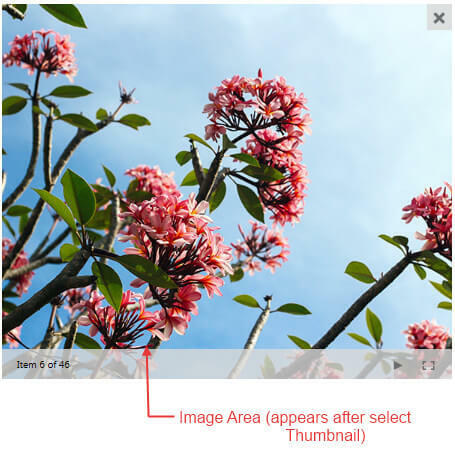 Thumbnails - The area initially shows only thumbnail images and upon click it hides the thumbnails and shows the ImageArea with close button on the top right in order to give the possibility to go back to the ThumbnailsArea. 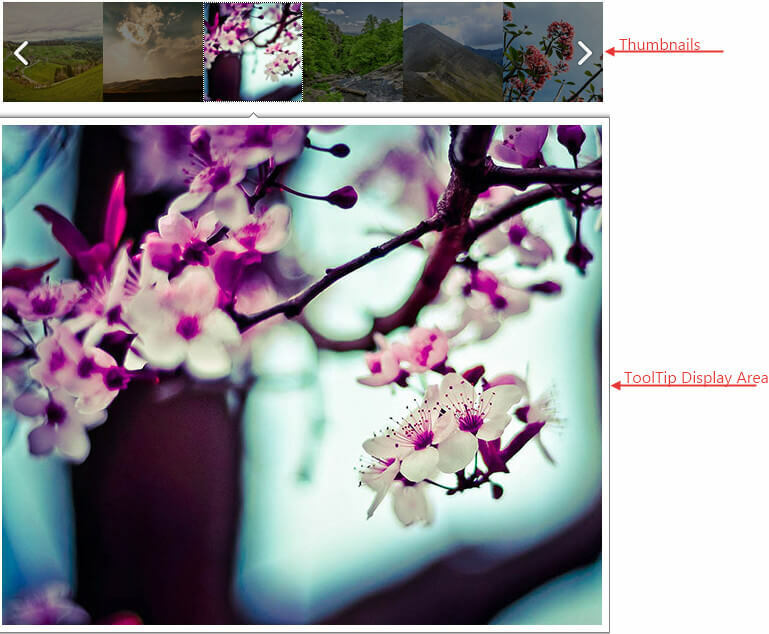 ToolTip – The area initially shows only thumbnail images and on click opens a ToolTip control with the image. 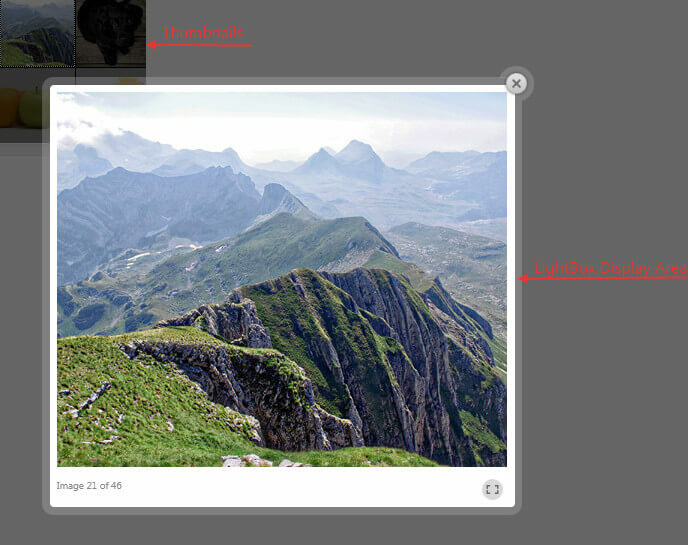 LightBox – The area initially shows only thumbnail images and on click opens a LightBox control with the image.